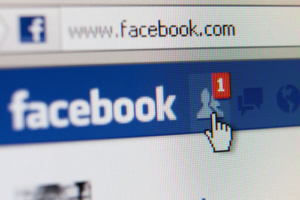 Make sure your Facebook page is as captivating and informative as possible. Your cover photo is as important as it gets; whether you choose to make it a mouth-watering picture of your latest creation, or an eye-popping logo, that photo is an excellent opportunity for you to hook a viewer right from the start. Make sure to have plenty of pictures of your food on your page and in your posts. Make sure to include important information on your page, including a link to your website, current specials, and images or links to menus. Post often, but not too much. Use your posts to highlight whatever you feel are your restaurant’s strengths. Food, people having a good time, drinks — whatever it is that you feel will draw people. Also, make sure to spotlight your employees. This helps to build morale, and also helps to draw in their friends who will see those posts as well. Instagram is one of the most popular photo-sharing platforms on the planet, so it’s a natural place to highlight your restaurant’s food, atmosphere, and people. Take and post plenty of pictures, featuring your menu, specials, and events. If you have started to build a loyal and strong following, encourage your customers to upload their own pictures. 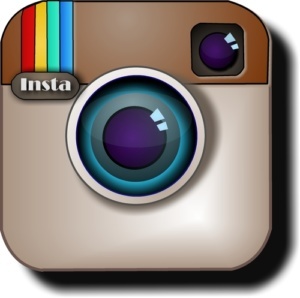 Instagram, like many online platforms, allows you to use searchable hashtags in your posts. These hashtags have the potential to make your restaurant much easier for other people to spot, if you know how to use them. As you post, use hashtags to help make your restaurant stand out. You can geotag your restaurant by putting your location in the tag; you can highlight specific campaigns or holidays — tags like this make your restaurant visible to nearby people who are searching for specific things or events. Groupon is an exciting and interesting way to get people through your doors. 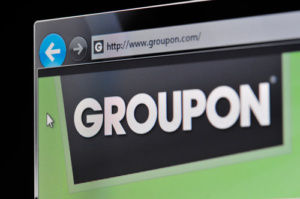 By offering a reasonable discount through Groupon, you have the chance to reach out to multiple groups of customers–people who have never heard of your restaurant, people who have visited once, but would be more likely to return with some kind of incentive, and also people who would like to try it out, but aren’t 100% sure and need a little persuading. In other words, offering a discount through Groupon is a great way to reach out to just about everybody. 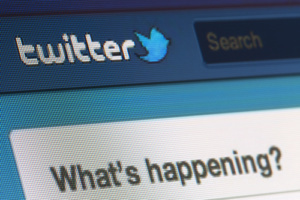 Another popular social media platform that needs to be mentioned is Twitter. With only 140 characters per tweet, it can take a while to get the hang of just how to get the most out of your tweet. But, once you get it down, you will find that Twitter is a great, quick way to mobilize your customers. Hashtags are even more important in the Twitterverse, so make sure you use them! Even though Twitter is mainly a text-based app, you can actually include a lot of information, like links to your menu, photos of food, etc. So, maximize what Twitter can do for you. Also, since Twitter is all about the retweets, it is an excellent way to get a viral campaign started. Create a hashtag and encourage your followers to respond with tweets of their own. Send out coupons through Twitter, so a customer gets a discount when they show you the tweet on their phone. Time your tweets just right to coincide with meals, happy hour, or late night events, and watch the customers come in! 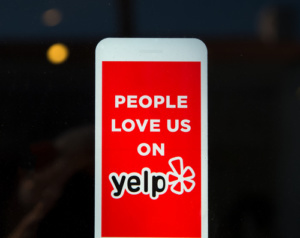 No discussion of restaurant-based social media would be complete without Yelp, the grandaddy (and 1st stop of many) of restaurant review sites. If you did not already create a Yelp presence for your restaurant, the first thing you should do is make one, making sure your address, website, and other details are correct. As customers start to write reviews, make sure you pay attention to what they say. An important tactic here is to respond to each review. Positive reviews are important, and it’s good practice to say thank you. A negative review is even more necessary to respond to — apologize, answer their concerns, and promise to make it right. This shows the customer that you are listening and care, and will give them a reason to try it again. If you want, go a step farther and offer the unsatisfied customer a discount, or even a free meal, on their next return. With the many options out there, this is just a starter list of ideas, barely even scratching the surface. As your restaurant grows its customer base, it will begin to take on a digital life of its own, which will help you plan and implement digital marketing campaigns that speak right to your fanbase. The most important thing is to maintain a creative, unique, and constant online presence that highlights whatever it is that makes your restaurant unique.